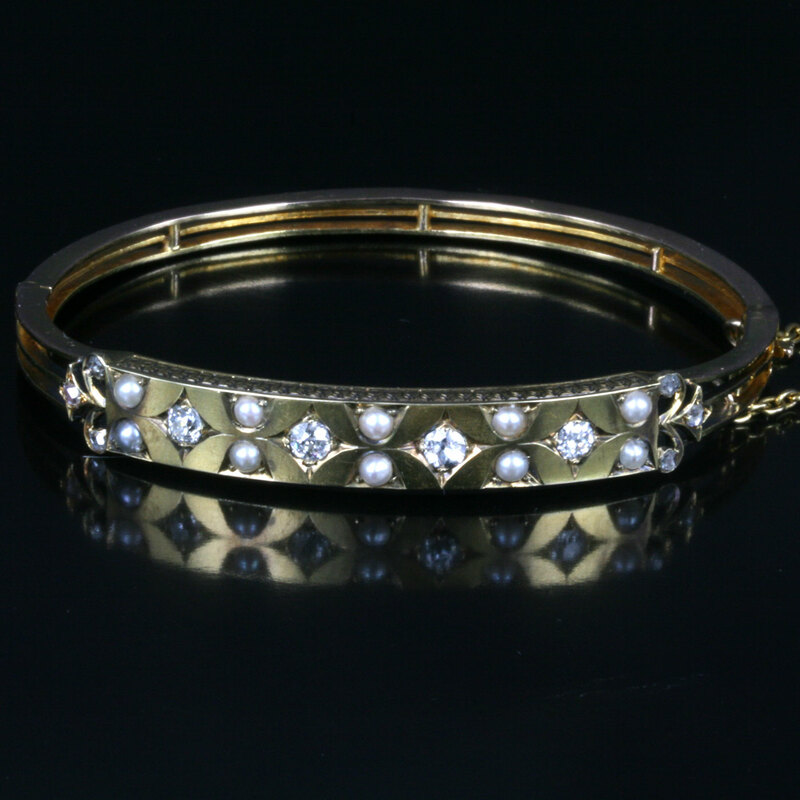 Antique pearl and diamond bangle. Product code: 1095 Categories: Sold Items, Sold Jewellery. 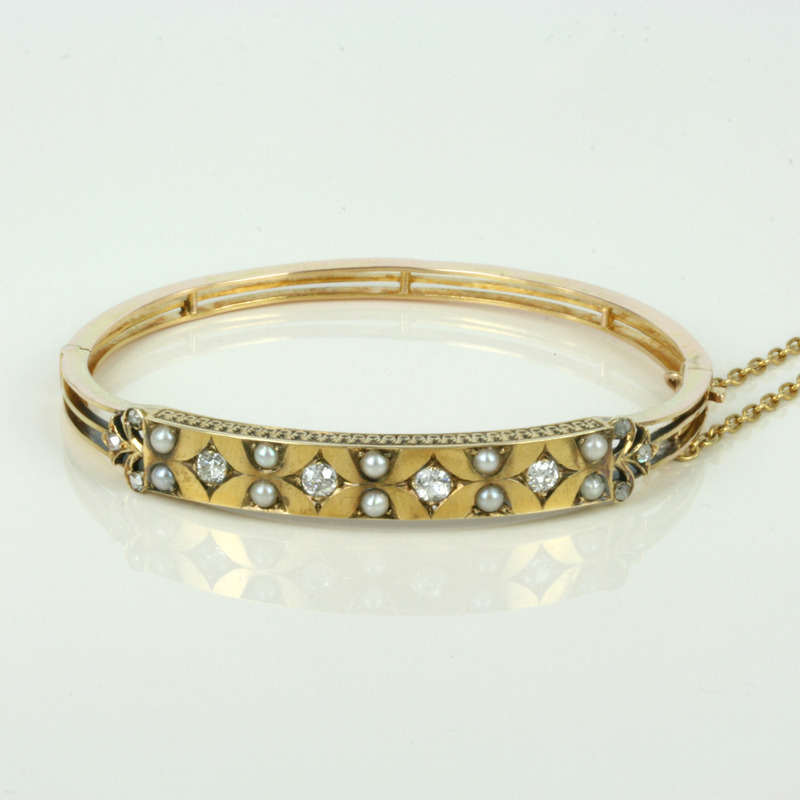 This bangle is one of those antique bangles that can be worn during the day, then at night time look simply superb. Made in 18ct yellow gold, this bangle is set with 10 seed pearls, 3 old rose cut diamonds at each end, and 4 vibrant old European cut diamonds set amongst the pearls. The rose cut diamonds total 0.06cts, and the European cut diamonds total 0.72cts. The diamond and pearl combination works so well and with the bangle being hinged makes it sit so easy to put on and off. With fantastic detail on the side, this late Victorian era bangle will look superb all on its own.